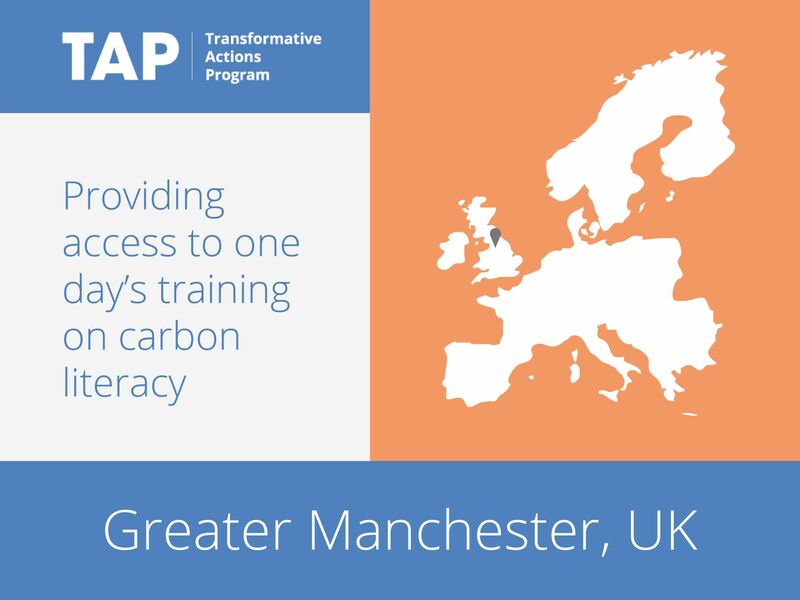 Greater Manchester’s “Carbon Literacy Project” enables citizens to access one day’s worth of climate change education, covering climate science, context and opportunities for action. With the support of 30 partner organizations, the project has established a Carbon Literacy Standard, offering a consistent measurement of community education. The training aims to guide audiences to this standard, equipping them with the tools and knowledge they need to act on climate change within their communities. The project also enables organizations, companies, groups and individuals take the standard and develop their own training solutions, so that the education is most relevant to their audiences.